Question What is the most common cause of low back pain in school-aged children? Findings This review discusses the causes of low back pain in school-aged children and finds that most cases are musculoskeletal and have a benign clinical course. Although pediatric training has historically emphasized that low back pain in this population is caused by specific etiologic factors, most cases of low back pain in this age group have no identifiable pain generator. Meaning Pediatricians should be vigilant for identifiable and serious causes of low back pain, but most presentations are self-limiting and will respond to conservative treatment. Importance Low back pain (LBP) in children and adolescents is a common problem. The differential diagnosis of LBP in this population is broad and different from that seen in the adult population. Most causes of LBP are musculoskeletal and benign in their clinical course. Clinicians should have an understanding of the relevant anatomy and the most commonly encountered etiologic factors of LBP in children and adolescents to provide effective care. Observations Low back pain is rarely seen in youth before they reach school age. Subsequently, rates of LBP rise until age 18 years, at which age the prevalence of LBP is similar to that in adults. The differential diagnosis of LBP in this population is broad, and individual etiologic factors are most often associated with musculoskeletal overuse or trauma. Sinister etiologic factors are rare. The patient’s history and physical examination are the foundation of evaluating a child with LBP. The indication for and timing of specific imaging or other studies will vary depending on the etiologic factor of concern. Most treatment of LBP in this population is centered on relative rest, rehabilitation, and identification of predisposing risk factors. Pharmacologic treatment may be used but is typically a brief course. 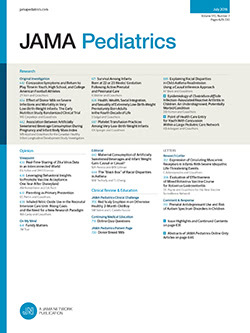 Orthopedic, rheumatologic, and other subspecialty referrals may be considered when indicated, but most of these patients can be managed by a general pediatrician with a good understanding of the principles described in this article. Conclusions and Relevance Low back pain in children and adolescents is a common problem. It is most often nonspecific, musculoskeletal, and self-limiting. Pediatricians should recognize the importance of a proper history, physical examination, and general knowledge of the lumbar spine and pelvic anatomy relevant to the child in their evaluation with this presenting symptom.